Brother Kerrek & Amer posing, so as to make sure that Power Armour featured somewhere in this update. 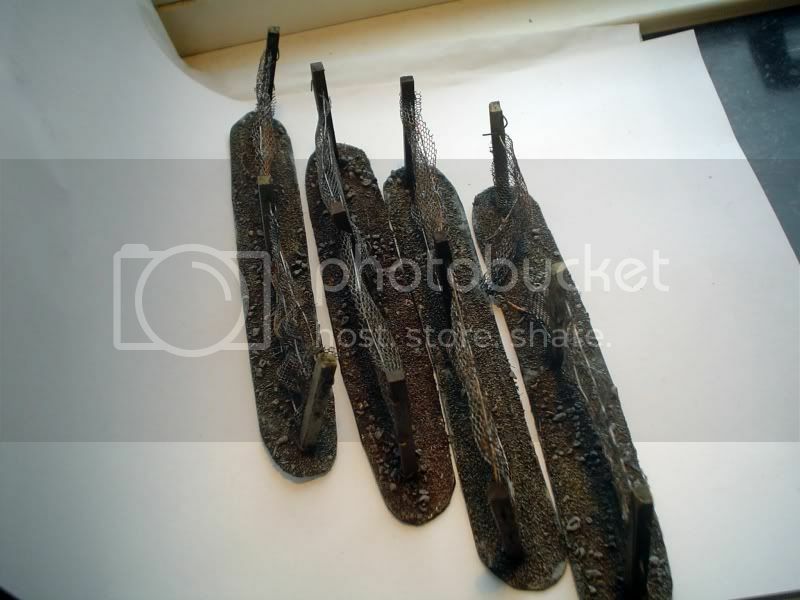 I originally made these 5-6 years ago, didn't paint them, then forgot all about them. I was helping my mom clean up her attic prior to moving, and stumbled on these, as well as a load of other stuff, some of which will eventually feature in this very log, once it's all been brought up to my current standard. 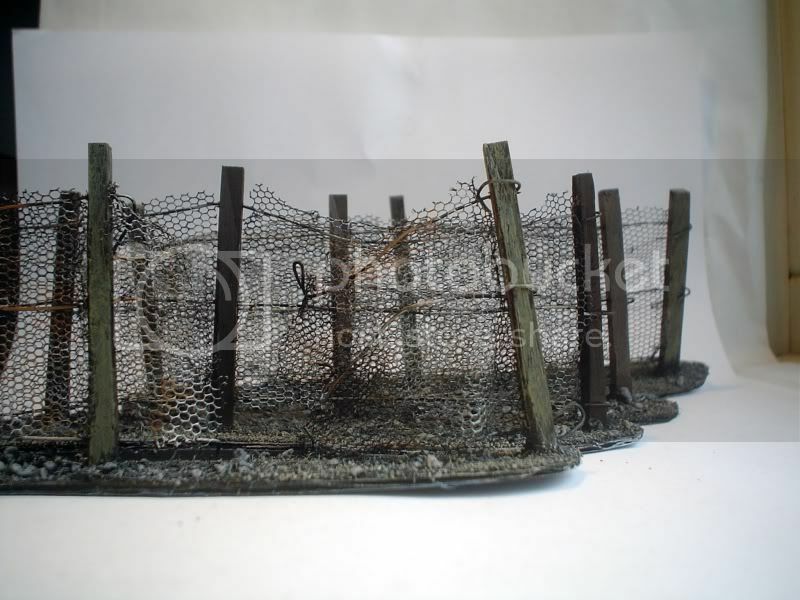 The fences are mosquito-mesh on wire&matchsticks, painted to look dull and rusty. What say ye? We say, those look fething sweet. 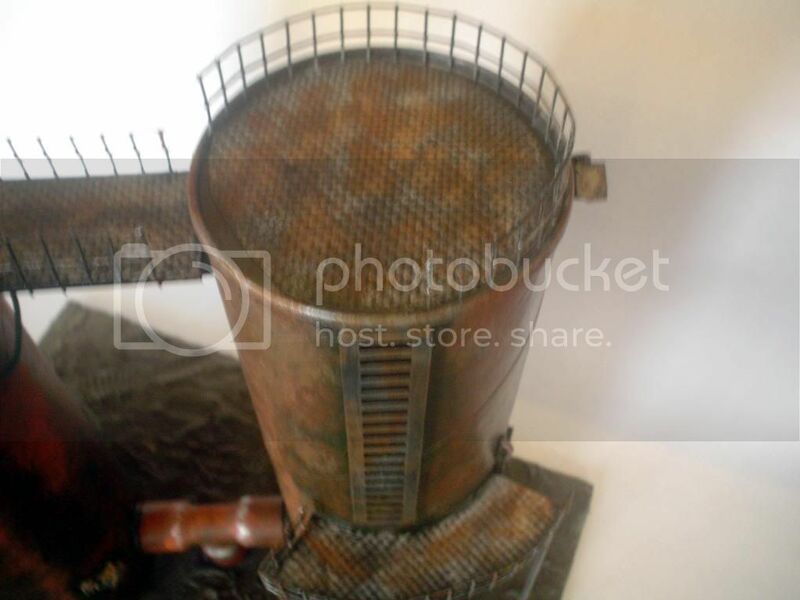 Seriously nice, would look great on a dark gritty Urban battlefield. These are looking rather nice. 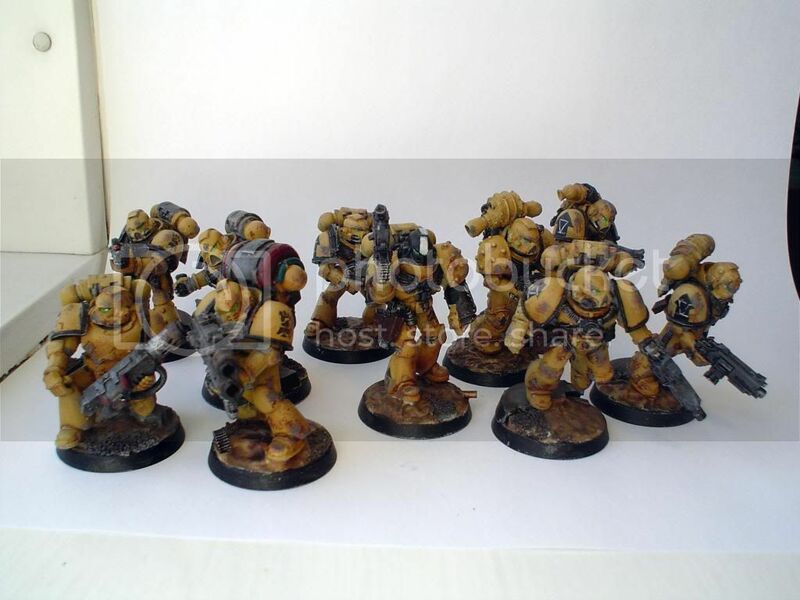 Big fan of the gritty battleworn fists! 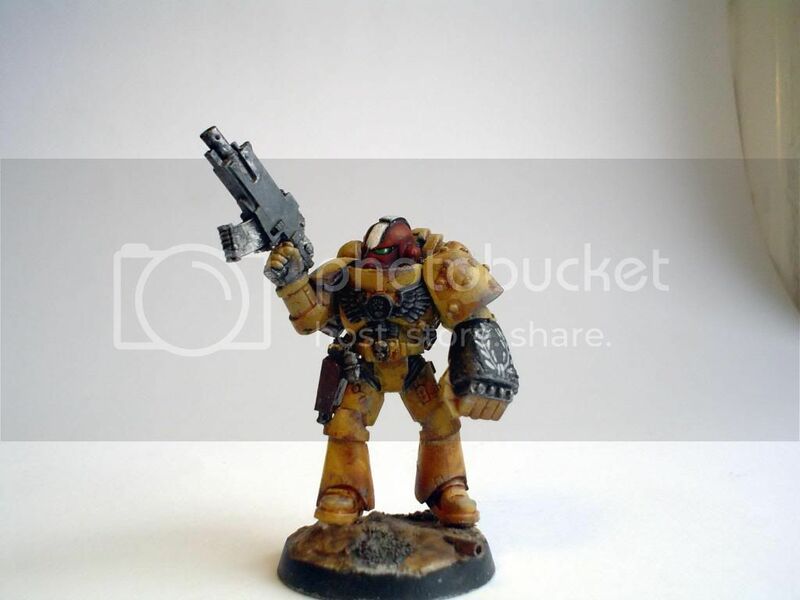 And that bolt pistol marine is a particular favourite of mine. Consider that stolen! Looking good, can't wait to see more. 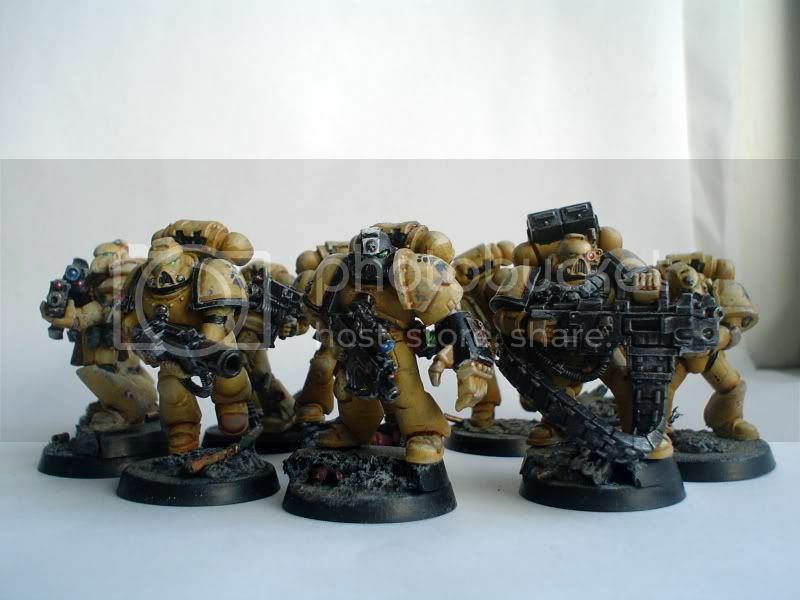 Imperial Fists 5th Company Hall of honour thread. 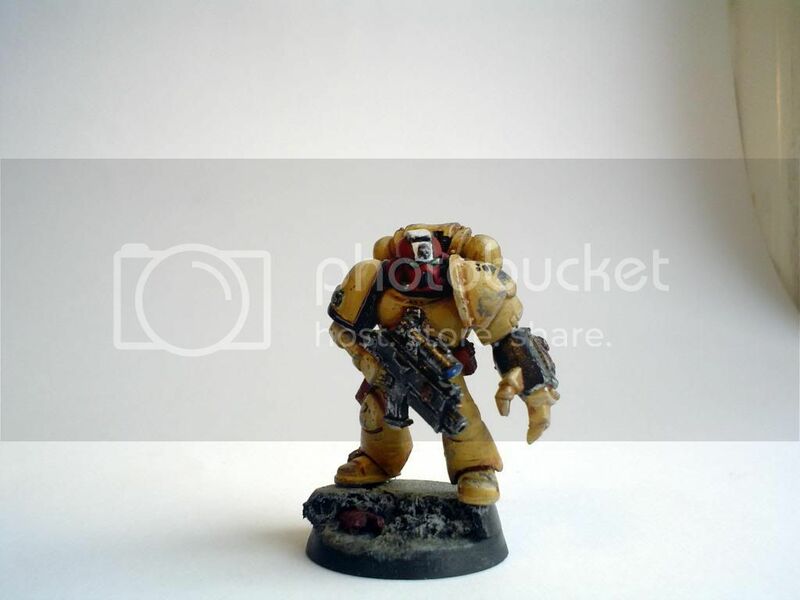 Imperial Fists Heresy era WIP thread. 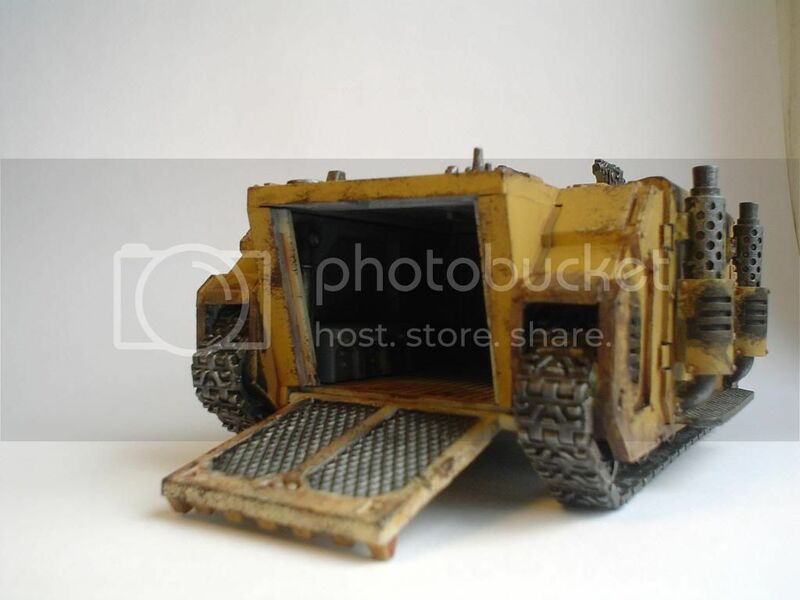 That has a definite 2nd Ed feel to the terrain, where it was all hand made rather than the mass produced Adeptus GWcanicus terrain on most battlefields now, very cool fella, like it alot. And the bolt pistol guy: outstanding. @Battle-Brother Ludovic & Kierdale: Thanks, I always looked at the gunner-arms from the Landspeeder and Attack Bike and thought "Hmmm, I wonder if...". 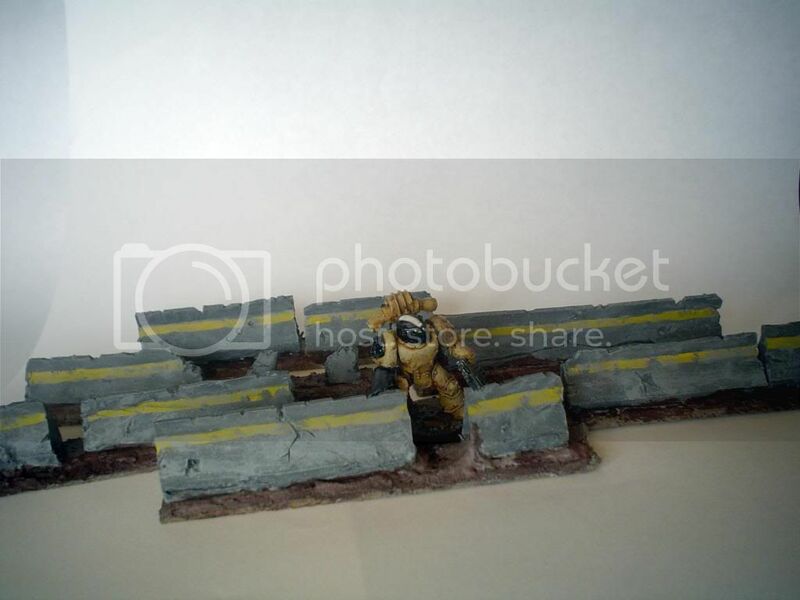 @MagicMan, Brother Syth & hermanista: Thanks, I actually still have the old "How to make Wargames Terrain" by Nigel Stillman, it's definitely my go-to source for most terrain. 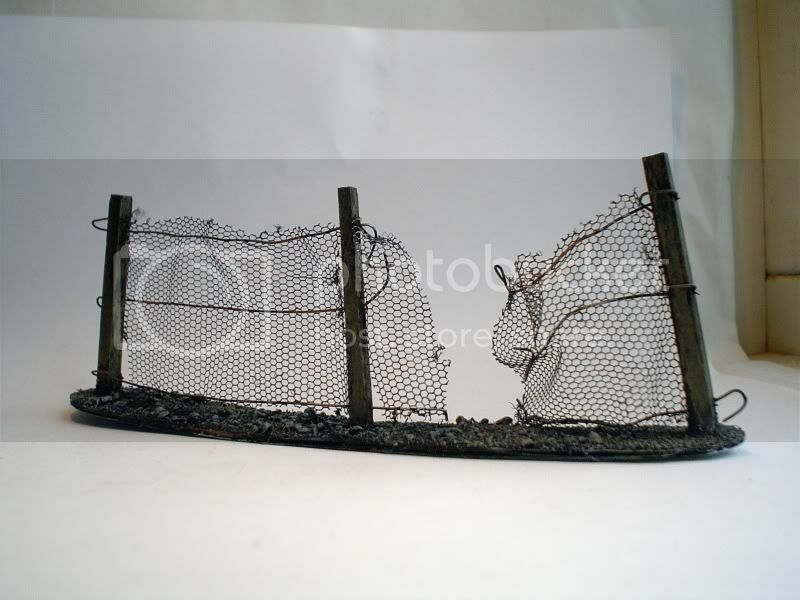 I also have a very serious dislike for the way that GW seems to only use their own plasticrap terrain, when what I really loved about all the old battlereports, codices and armybooks was the wealth of ingeniously constructed terrain, and the fact that it's mostly everyday rubbish that's converted into amazing battlefields made me even more impressed. Loving this colour scheme. Black goes so much better with yellow than red does. Keep it up, the character descriptions are sweet. 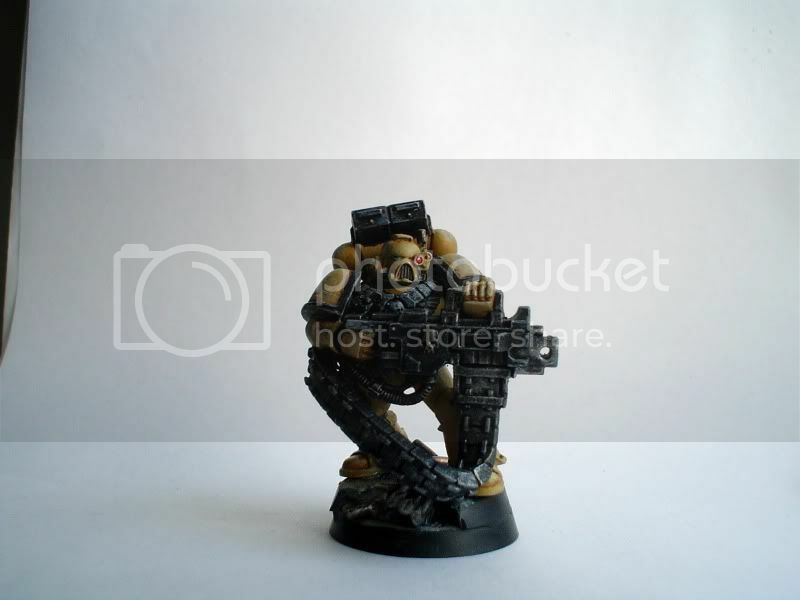 The echoes of gunfire, and the infernal Orkoid war-cries had finally died away, and Brother Artesio lowered his Heavy Bolter, relaxing his stance somewhat, as he took in the scene in the courtyard of the relay station. A few dozen xenos had been holed up in the disused buildings, but predictably they had left their shelter to take the fight to the Astartes, another sure sign of the superiority of the Emperors chosen compared to the brutish hordes. A far of cry sonded, the tell-tale waaagh of more Orkoids, alerted by the sounds of gunfire. Relishing the chance to purge more of the foul creatures, Artesio followed his brothers into the shadow of the relay-station, preparing to once again turn the courtyard into a killing zone. Brother Rego Artesio, 2nd. Squad, 5th. 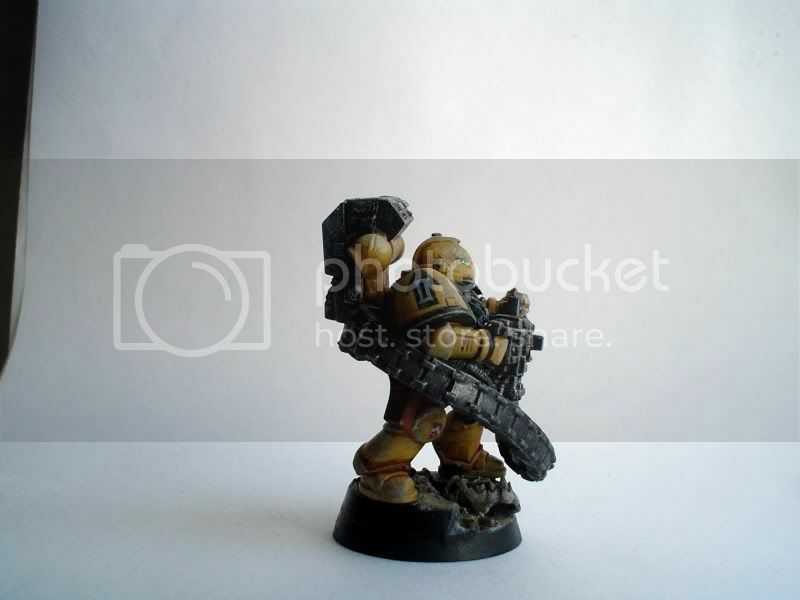 Company, carrying the squads' main support weapon in the form of a Heavy bolter. 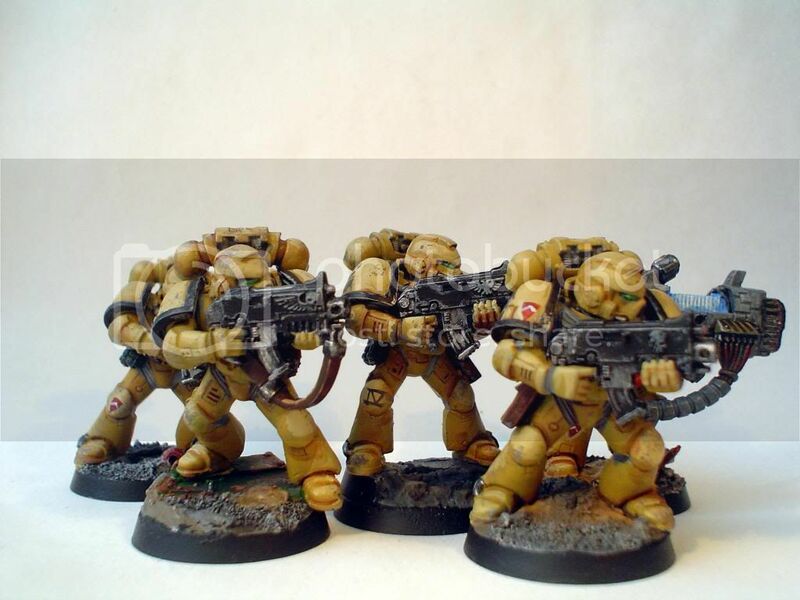 Most brethren deployed with heavy equipment is equipped with enhanced targeting arrays and viewfinders, aiding in target selection, and ensuring the proper application of the formidable firepower of their heavy weapons. Another pict-capture of the same subject, displaying the campaign badge on the right knee, as well as the tactical markings worn on the shoulderpad. 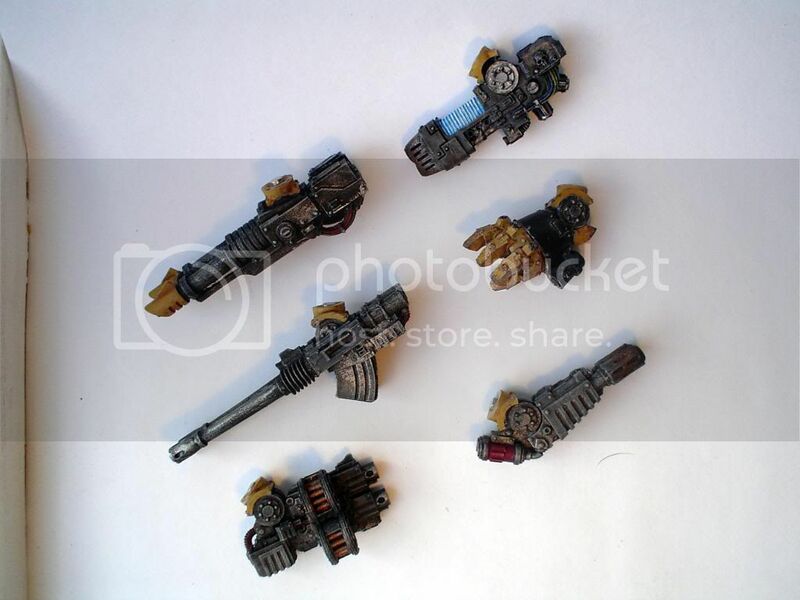 This shot shows the Heavy Bolters built-in targeter, as well as the Imperial Fist Chapter-badge, depicting the left fist of Rogal Dorn. The entirety of Squad Pheidias. Looking sweet dude. The sergeant especially oozes badass! Yup! I like the idea of the black helm for sergeants. Looks great! "This is not the first time you've been left to fate. 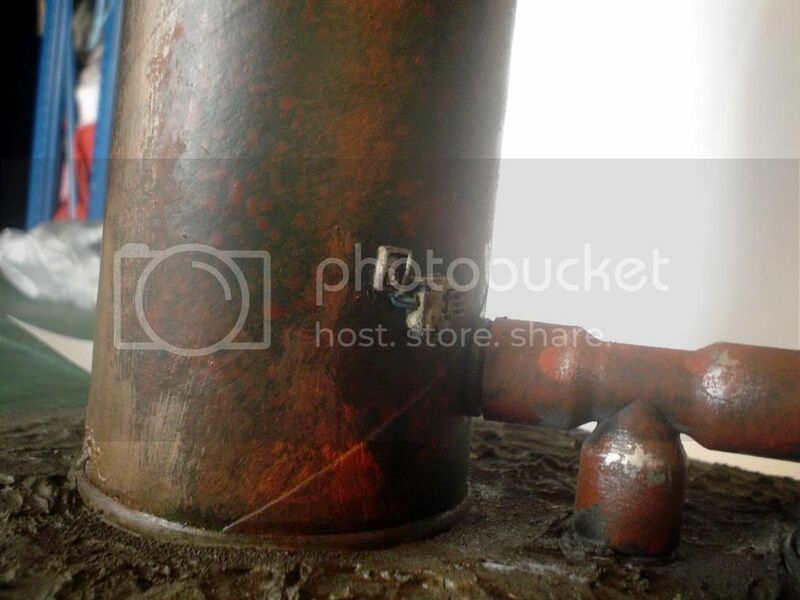 I can see it in your manner. It takes something from you doesn't it? Being deserted hollows you out and leaves a void inside. People might say that it hurts, that the psyche aches from the wound. It's not true though. Abandonment does not leave pain. You wished it did because that would be better than the truth. It leaves nothing. Not hope, not pain, not forgiveness." 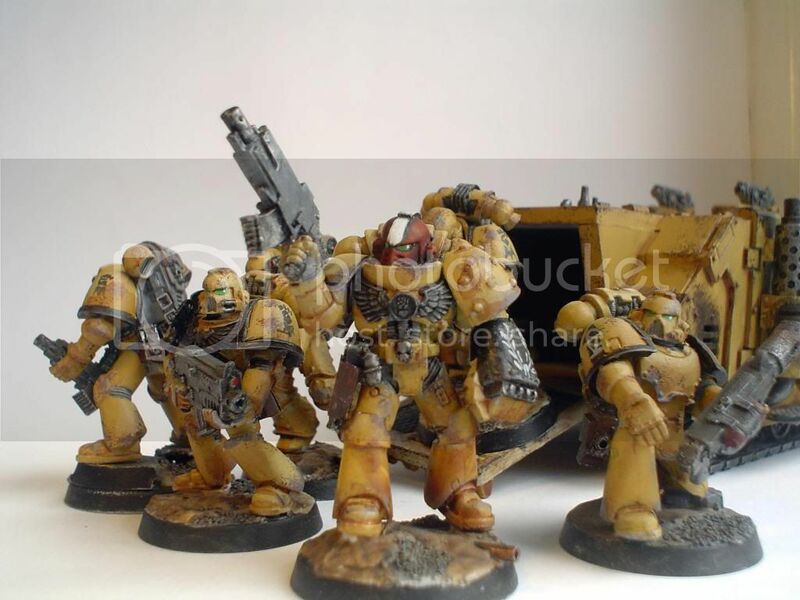 Absolutely astounding work here Brother Pheidias, I'm loving the detail and posing you've added onto these marines! The Campaign information is also very refreshing and fun to read with it, it helps give the models more character for me knowing their story. 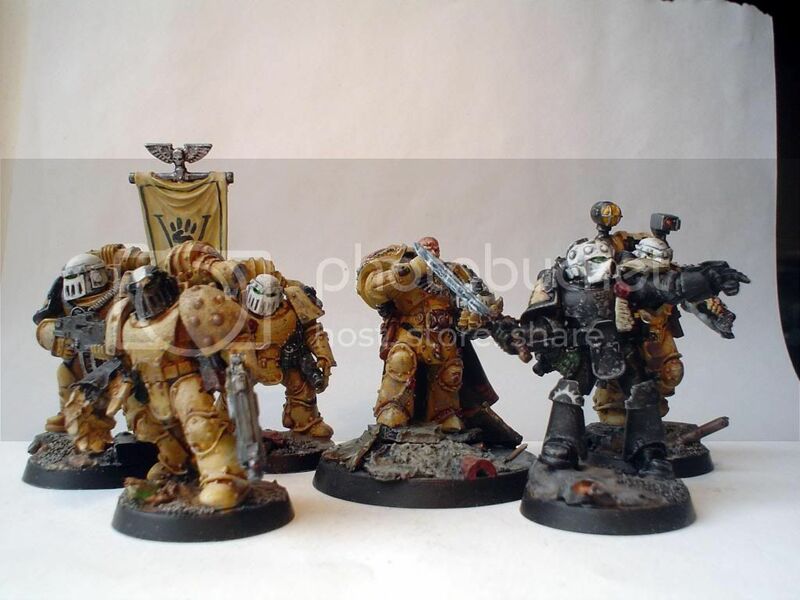 @Brother Cambrius: Yeah, I actually got inspired to try and do the Adeptus Astartes justice after reading through some other plogs with a simillar approach, notably Apologist and Petay1985 over on Warseer. Keep the good work coming Brother!!! 'FOR WE ARE THE MARINES MALEVOLENT, CHOSEN OF THE EMPEROR, THE ONLY TRUE SERVANTS OF HIS GLORIOUS WILL!! FORGED WITH HATE, ARMORED WITH TRUTH, TEMPERED WITH BLOOD!!! THESE XENOS SHALL FALL!!!! FOR GLORY! FOR HATE!! FOR THE GREAT CRUSADE!!!!!!!!!!!!!! 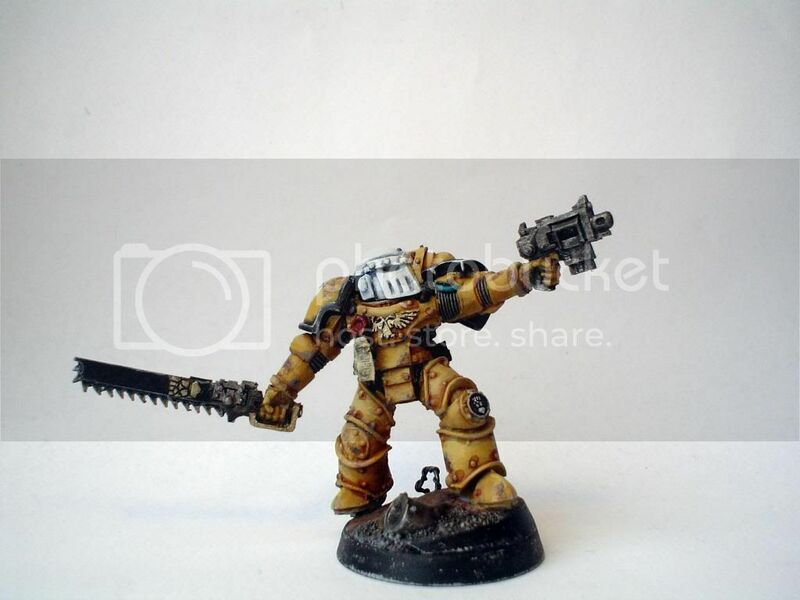 I fell out of the loop with Bolter&Chainsword for a while, but have been steadily adding to the Fists ever since. Anyone who's interested can find everything I've been up to on the Ammobunker or Warseer, but here's a few highlights, pending further updates to completely revive this thread. 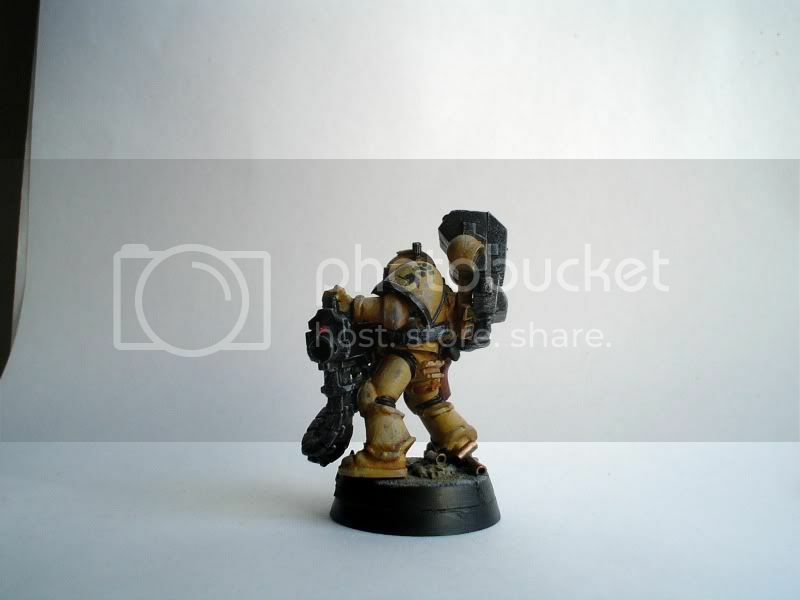 Bare-bones Captain for small games. Phew! 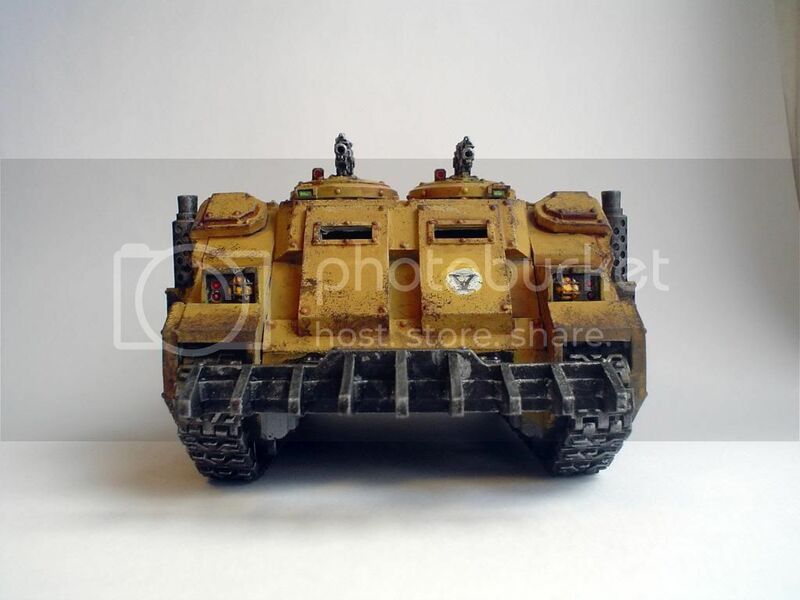 With that out of the way, I am still prepping and painting a couple of Deimos Rhinos and awaiting an order for new stuff that will basically take this force up to almost Company size. I expect to keep updates a lot more frequent from now on! Very, very good to see you back! Nice work on the new additions. 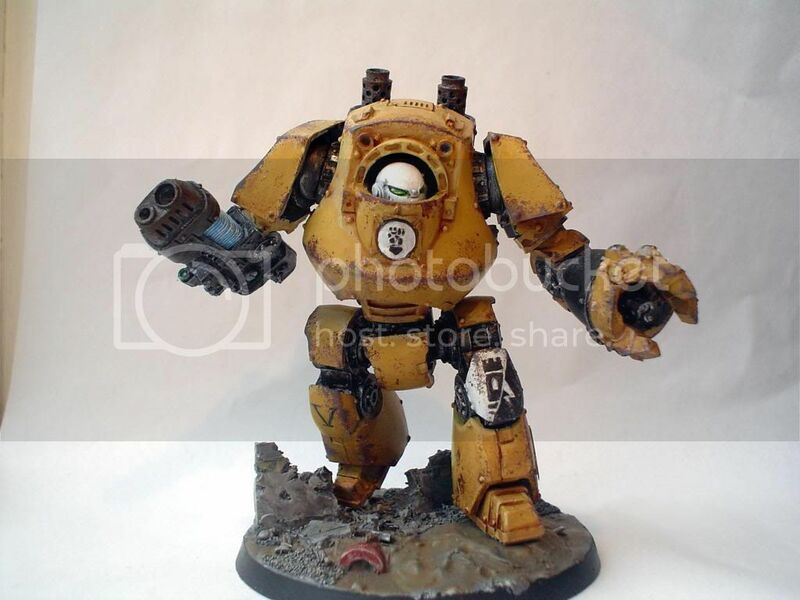 Stealing that mk3 helm in the contemptor body idea! Thank you! Very well thought out.Like how you added a campaign badge on your Marines.And like the fluff it adds to character of your Fists. Edited by deathspectersgt7, 17 September 2013 - 02:38 PM. I'm happy to see you updating this thread, I am a big fan of your Fists and the shade of yellow you used on them. I can't wait to see more from you. I assume you mean in the Tartaros Terminator? But thanks a lot, all of you! 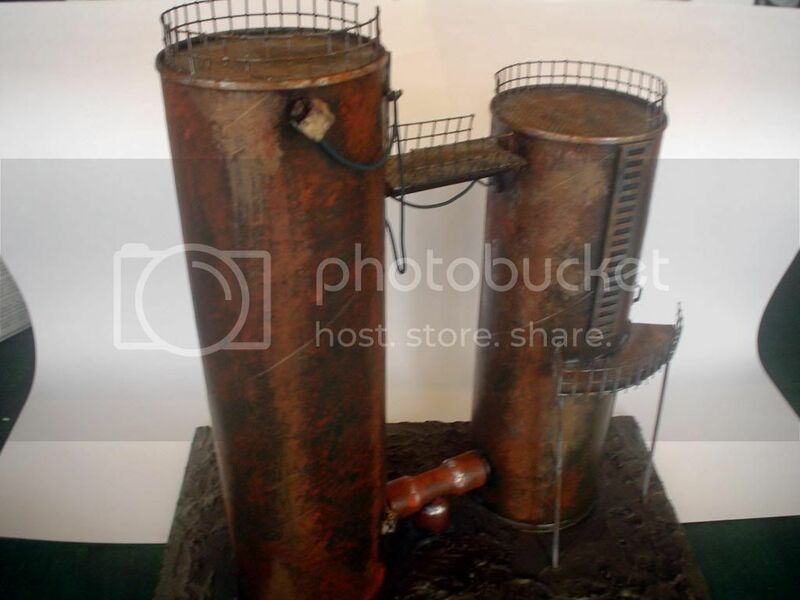 A pair of fuel-towers or something. 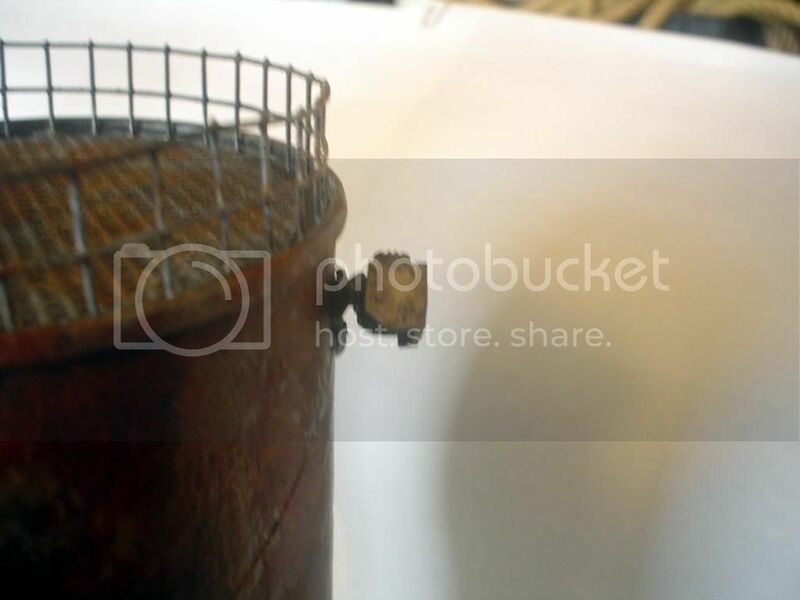 Please excuse the slightly blurry pictures. 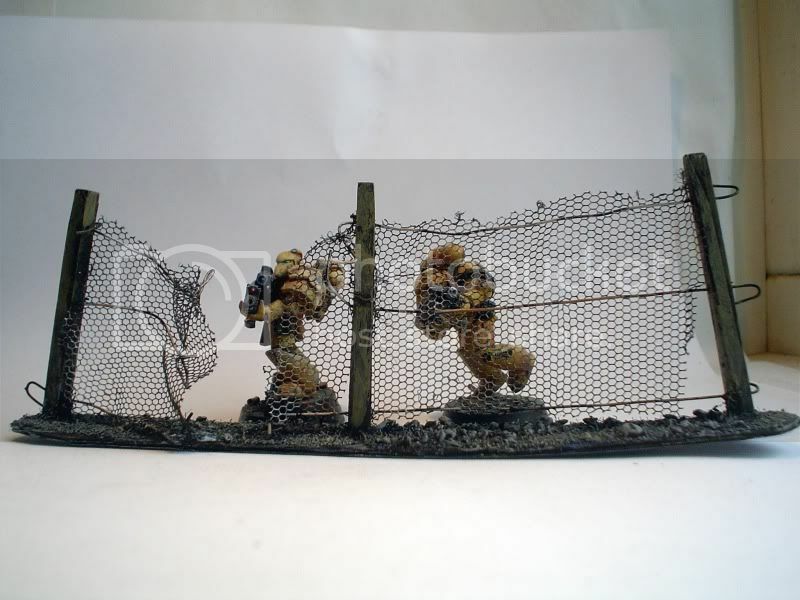 And some barricades. 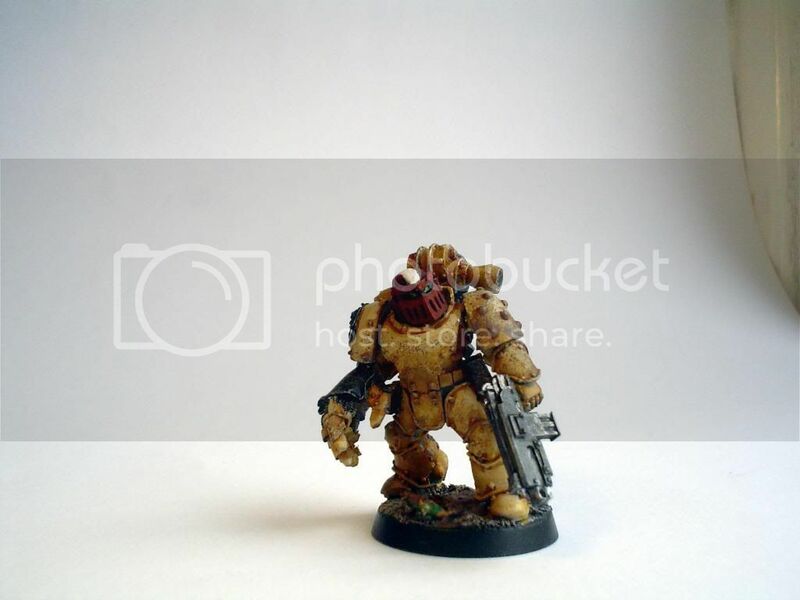 More actual Marine-updates soon! Nogskar cautiously peered out throught the doorway of the bunker, every moment expecting the bombardment to begin anew. In the months since taking possession of the humie fort, the Boyz had spent a considerable amount of time "improving" the bunkers, but he still didn't trust the Pinkskin construction. Across the main defensive barricade, the killing-ground was swathed in a thick blanket of smoke and dust, obscuring the view to the Imperial positions. A rumbling sound registered in his ears over the ringing caused by the bombardment, slowly growing to a roar of engines. 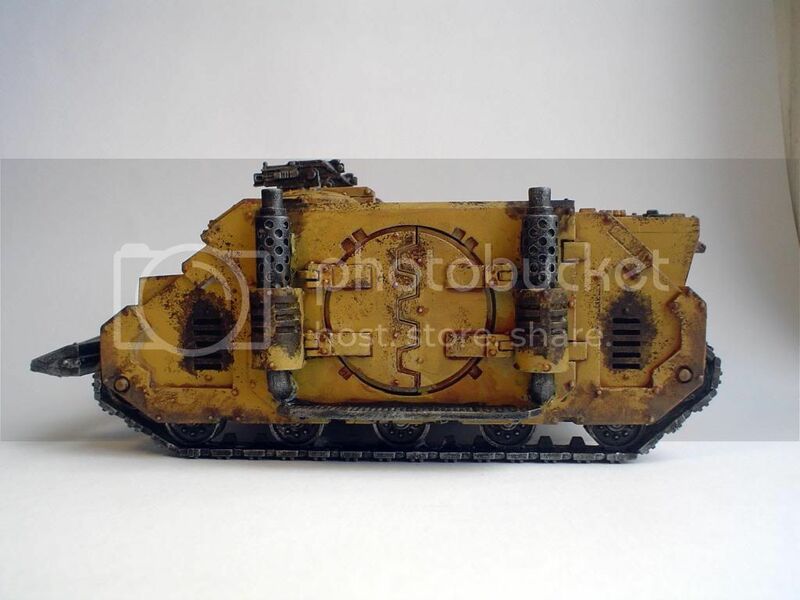 Nogskars eyes widened as lights flickered in the sodden fog, a gust of wind parting the clouds of smoke to reveal yellow-armoured Humie-tanks speeding across the broken ground. Cries of alarm and roars of delight rose from Ork throats across the lines, and the first Rokkits and Kannon Shells began falling amidst the armoured vehicles, but still they came. 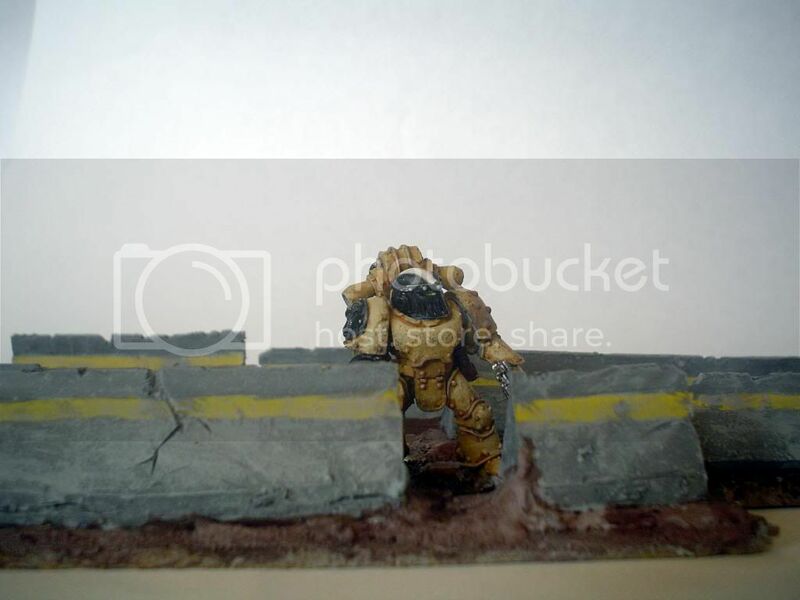 As they closed the last score metres to the barricade, Nogskar realized the one bearing down on his position wasn't slowing, even as it plowed up the sloping earthworks below the wall itself. He flung himself sideways, rolling from the firing-step just as the tank crested the lip of the wall, tearing through it, and chrashing down on those Boyz too slow to get out of the way. 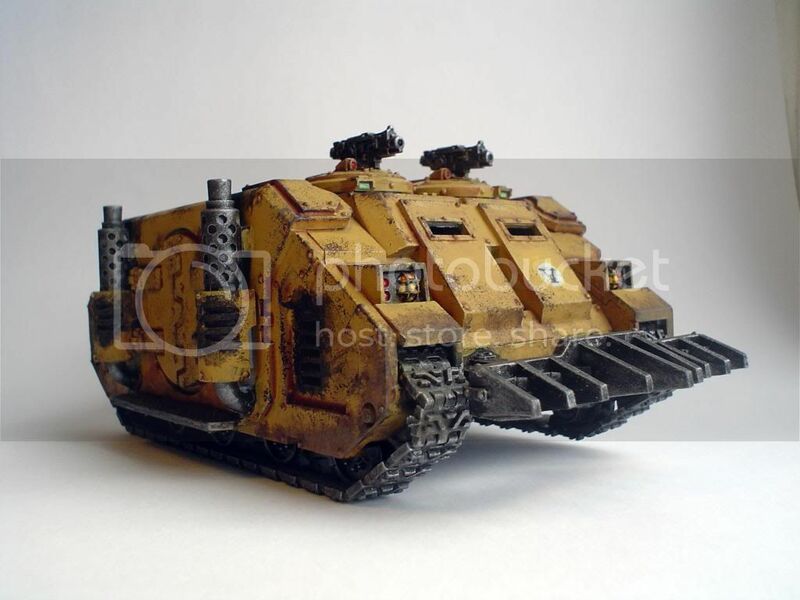 Before any of the Orks could recover, hatches were flung open, and bolter-shells tore through the mobs as the Imperial Fists deployed from their armoured steeds. Pict-capture shows Rh1n0-APC attached to the 5th. 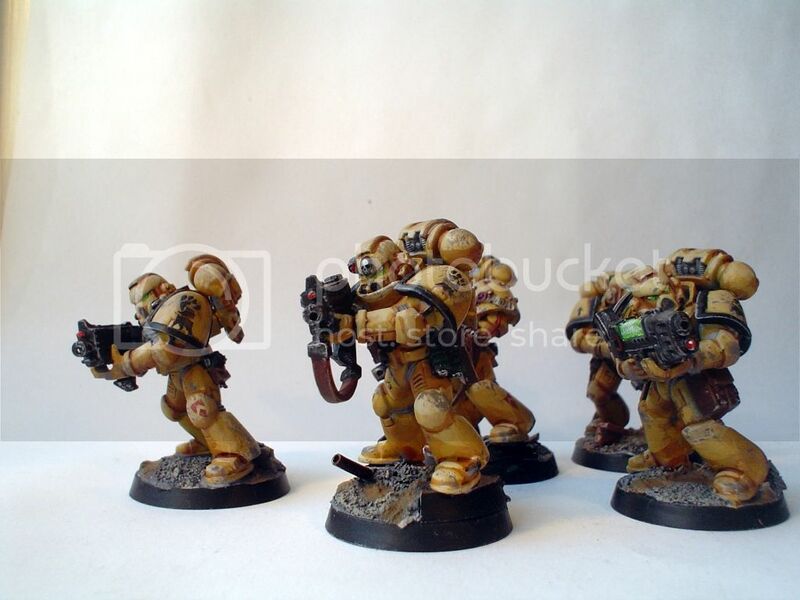 Squad of the Imperial Fists 5ht. Company. In this instance, Chapter Iconography is absent, as the vehicle is awaiting maintenance-work following several heavy engagements with the Orkoids in and around the Matenis Harbour Refineries. 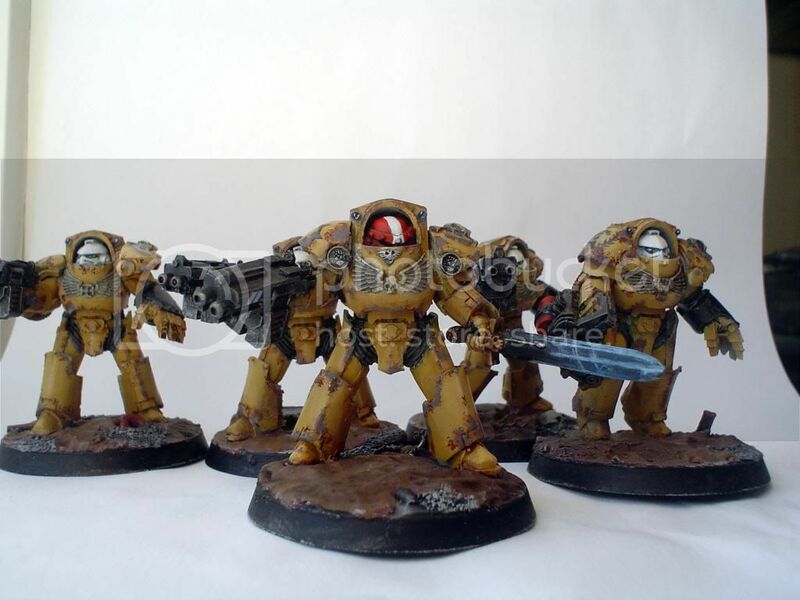 So, the armoured might of the Imperial Fists makes its first real appearance. It was a game against a mates Dark Eldar that convinced me that I need a little more mobility, as well as the fact that this Rhino, and two of its siblings, have been languishing in a box for a few months. Also, following my forays into Codex-appropriate red helmets for my Terminator Sergeant, I decided this is the way to go for all sergeants. The rhino looks good and battered, but not overly. 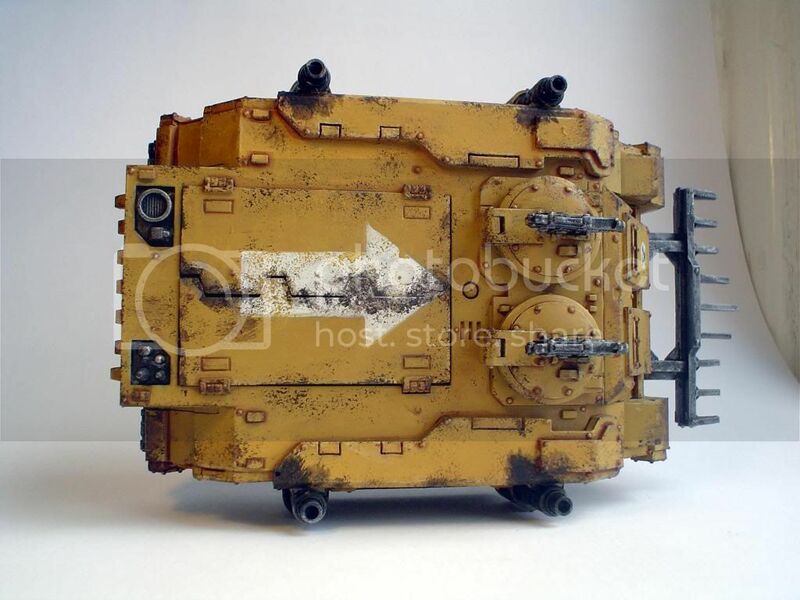 What colour(s) do you sponge on for weathering yellow? A dark grey? Brown? I ask as I'm going to be sponging damage into some yellow myself soon (and boy that yellow took time to do!). Black, dark brown and a dark grey, in that order, except for actual soot, where I use brown and then black. I've been a big fan of this log for a while since I saw it on Warseer. 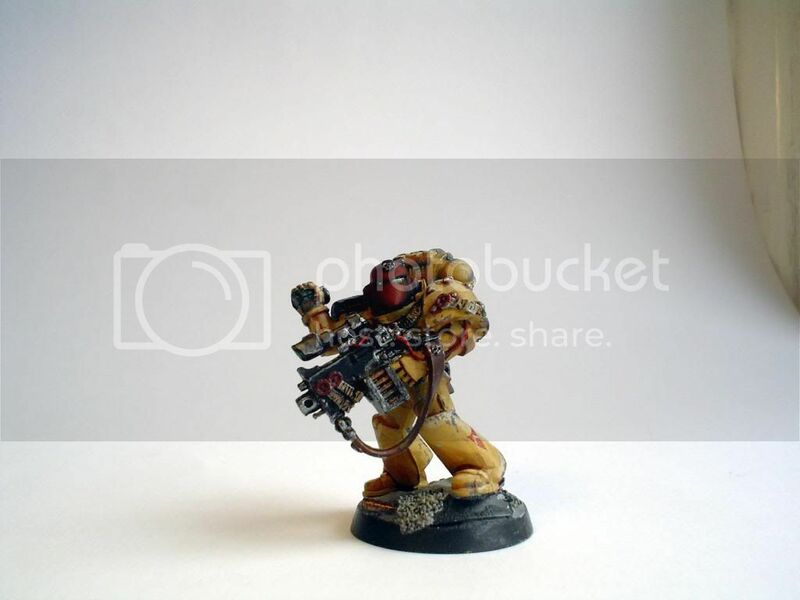 Your models have a lot of character and I like the gritty style of them.